Deciding how much information to give each party. I’m looking forward to our webcast Tuesday, September 27, 2011, from 4pm-6pm at the Massachusetts Bar Association headquarters at 20 West Street, Boston, Massachusetts, 02111. For additional information, please see the MBA website here, or contact me at bjerome@mdrs.com. If you didn’t catch it or want to pass it on, please click here for the audio. 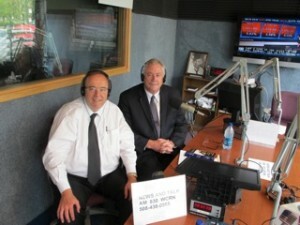 Thanks again to Bob Flynn, and the crew at WCRN 830 AM! Today’s radio show has been rescheduled for August 18, 2011 at 1:00 p.m. Look for more information about Brian Jerome’s appearance on WCRN on this blog in the coming weeks. Brian Jerome of Massachusetts Dispute Resolution Services in Boston, MA will be a guest on “Talking about the Law” discussing “ADR: Closing a case by trial, mediation or arbitration” on Thursday, June 30th at 1:00pm on WCRN 830 AM Radio. It may also be heard via the web at wcrnradio.com as a live stream. You may participate in the show by calling 508-438-0965 or by emailing bobflynnradio@flynnlawfirm.com, during, after or before the show. ADR is often utilized in business disputes because it offers more than a cold-hard decision. Alternative Dispute Resolution services shine in the business industry because, more often than not, the underlying cause of a dispute is rooted in economic issues, not necessarily legal issues. ADR has been integrated into business disputes in various forms, including formal settlement conferences, mediation, and arbitration. Formal settlement conferences, when presided over by a lawyer, give the parties a valuable and neutral case evaluation. Sometimes formal settlement conferences aren’t always long enough for parties in a business dispute to come to a resolution, and a mediation or arbitration is necessary. Mediation and arbitration are important assets in business disputes because they can be broken into sessions in which information that wasn’t available at the start may become known as it progresses.